Boundary Mill Stores, the largest quality mill store of its kind in the UK, is to open a new outlet in Rotherham. A move that will create over 300 new jobs. The expanding Lancashire-based retailer is the new owner and soon-to-be occupier of the former Big W store at Catcliffe, which has been empty since Woolworths went into administration in 2008. 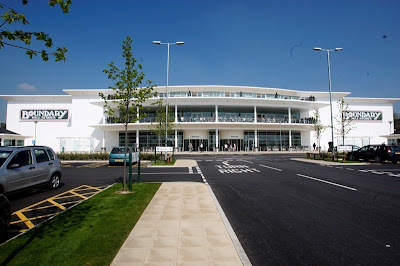 Boundary Mills already operate four large outlet stores and offer branded goods at discount prices. Departments include ladieswear, menswear, homewares, gifts, books, dvds, arts and crafts and perfume and cosmetics. The 12,000 sq m store adjacent to Morrisons is to undergo a £5m refit and a planning application has recently been submitted for re-cladding the building and installing new doors and canopies. The new store is expected to create 78 full time jobs and 277 part time jobs. A spokesperson from Boundary Mill Stores said: "We are delighted to be coming to Rotherham with our new store which will create around 300 plus jobs. "We now await the confirmation of our planning application prior to commencing refurbishment works." The new operators hope that the store will open at the end of August 2012. Boundary Mill Stores are owned by Libra Textiles Ltd who enjoyed an increase in like for like profits of 58% for the year up to January 2010. Profits before tax increased to £2.2m and expansion plans are being carried out. It was reported that developers, Stadium Ltd bought the Catcliffe property for around £34m in 2006. Plans were approved in February for the subdivision of the store in a bid to attract new tenants but it appears that these works will not now be required. Can't wait - the outside refurbishment looking great and coming along slowly - Hurry up August!! Boundary Mill is great. Can't wait for it to open. Job Centre Plus are supporting the recruitment at the Rotherham store. As anyone who went for an interview heard anything yet? IF THIS IS AS GOOD AS NEWCASTLE SHIREMOOR I AM LOOKING FORWARD TO COMING TO SHOP AS I OFTEN GO TO NEWCASTLE AND SHOP THERE .STAFF ARE BRILLIANT AND EFFICIENT SO YOU HAVE A LOT TO UP. LOOKING FORWARD TO YOUR NEW SHOP. Im working there and its great. Wery pleasant place to be in.